For the past several months “The Beginnings Report on the Future of the Library” has been accessible to a limited group of library professionals, but the time has come to for the general library community to respond to this working draft. The report documents the main outcomes of the Strategic Visioning Summit held on May 5-6. You can learn more about the report, and respond to it, at http://blog.uwgb.edu/coland/. State Superintendent Elizabeth Burmaster included some recommendations from the Summit in her 2009-11 budget proposal to the governor, specifically increased funding for BadgerLink, delivery service and library contracts. Madison Public Library welcomes: Emily Amundson and Michelle Gustafson (Page 1) Alicia Ashman Branch; William Fetty (Page 2) Lakeview Branch; Mark French (Page 2) Alicia Ashman Branch; Lawrence Luecke (Library Assistant) and Kristopher Turner (Page 2) Meadowridge Branch; and Daniel Murphy (Page 2) South Madison Branch. Also, Jane Kelly has been promoted to a Librarian at the Lakeview Branch, and Krissy Wick has transferred to be the Readmobile Librarian at the Central Library. Madison Librarian Krissy Wick wrote an article titled "Tough Read: Bringing Books and Boys Together" for the fall/winter 2008/09 issue of Madison Area Parent's Guide, accessible online at www.madisonareaparentsguide.com/parent_FW2008.pdf. Madison Public Library was also featured as the spotlight organization for that issue. The copy status of most Madison Public Library Sequoya Branch items that are, in reality, still available in library now display in LINKcat as "Storage/Unavailable." Please contact Sequoya staff for a shelf check if you must obtain a particular item. Delivery will automatically re-route Sequoya holds to Alicia Ashman Branch Library after Oct. 4, so please continue to label SEQ holds as SEQ. Full customer service continues at the Sequoya Branch Library thru Oct. 4 at 5 pm. Photos from System Celebration 2008, including award recipients, can be viewed at http://picasaweb.google.com/sclsphotos. Area librarians may be interested to know that Verona Public Library will host Michael Perry on Oct. 16 at 7 p.m.
Public library system funding at the 13 percent index level of $27,260,300 for 2009-10 and $28,078,100 for 2010-11. This compares to 2008-09 funding of $16,783,500. BadgerLink funding of $3,234,000 for 2009-10 and $3,469,400 for 2010-11. This compares to 2008-09 funding of $2,111,000. The requested funding would allow for the addition to BadgerLink of curriculum-supporting information databases. Library service contract funding for the Wisconsin Regional Library for the Blind and Physically Handicapped (WRLBPH), the Milwaukee Public Library, Wisconsin Library Services (WiLS), and the Cooperative Children's Book Center (CCBC) totaling $1,145,300 for 2009-10 and $1,180,800 for 2010-11. This compares to 2008-09 funding of $1,097,200. The requested funding would fully fund the service contracts. Library delivery service funding of $216,000 for 2009-10 and $232,000 for 2010-11. This funding would cover an estimated 50% of the statewide backbone delivery costs currently incurred by public library systems. NFB-Newsline funding to support newspapers accessible by telephone for blind and physically handicapped people of $113,000 for 2009-10 and $117,700 for 2010-11. This compares to 2008-09 funding of $108,000. Maintain current authority to distribute Common School Funds of up to $40,000,000. A summary of the full DPI biennial budget request is available at http://dpi.wisconsin.gov/pb/index.html. The budget request will now be reviewed by the Governor, who will submit a proposed budget to the legislature early in 2009. Everyone has their own ways of finding the libraries they need to contact, one of which is through BadgerLink. On the BadgerLink page at www.badgerlink.net, near the bottom, click on "Library Directories." You can then search by library type, and then put in variables like system name, library name, city, county, etc. A results page provides the phone number and address, as well as a link to the library’s website. You can also use BadgerLink to search for government and education sites, as well as miscellaneous web portals. Now more than ever before, older Americans are logging on and surfing the web to stay in touch with family and friends, read websites and blogs, share photos, watch videos, and run online businesses. Like all Internet users, they're sometimes faced with unsafe activity online, such as viruses and malware, and they're looking for resources to learn how to keep their information on the web safe, private, and under their control. Google has teamed up with AARP to launch a new video series that provides AARP members with helpful, easy-to-understand tips on how to stay safe online. It includes pointers on how to set privacy controls in online photo-sharing sites, configure firewalls to protect your computer, select safe and secure passwords for your online accounts, shop safely online, and avoid phishing scams. You can find the videos on AARP's online safety page, as well as on the Google Privacy Channel on YouTube. EBSCO recently announced the release of its redesigned Customer Success Center, which features a cleaner format, informative animated Flash items, and streamlined navigation. The most notable Success Center enhancement is its library categories. Users can search by library type -- public libraries, corporations, colleges/universities -- to find pertinent library tools faster than ever before! Each category has its own customized resources, from best practice examples, fundraising ideas, marketing tools, EBSCO logos and buttons and suggested reading, to lessons plans for teachers and success tools for students on research techniques, avoiding plagiarism and other important topics. All of these valuable tools can be found in easily navigable columns, which can be expanded/collapsed with one click. The result is efficient access to the support materials and tools that you and your users need. Along the bottom of the site's homepage you will find icons to EBSCO’s free databases: LISTA and GreenFILE, the rotating Feature of the Month section (which highlights new and noteworthy resources), and the site's abundance of Support & Training tools. Lt. Governor Barbara Lawton recently announced the creation of a new website -- www.GuideForPennyPinchers.com -- designed to efficiently connect Wisconsin consumers with information they need to help them save time as they search for ways to save money on gas and traveling expenses, home energy, prescription drugs, health care, college tuition, back-to-school savings and more. This new online resource serves as an aggregator of helpful state and federal government information as well as links to useful private-sector and news websites. 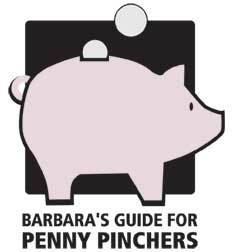 Guide for Penny Pinchers features information on ways families can search for the cheapest gas station near them by zip code, tips on increasing gas mileage, information on public transportation options in Wisconsin, and easy tools to connect them with other commuters through Wisconsin’s Rideshare Program. The site also provides tips on saving money and energy at home, on homeowner and renter’s insurance, and links to tools to connect renters with property managers to meet their affordable housing needs. The website features back-to-school savings tips, a link to the Wisconsin Prescription Drug Resource Center, information on Wisconsin’s College Savings Program and a list of all the scholarships available to all UW schools. The Lt. Governor’s office staff have screened all the listed sites, but they do welcome feedback and suggestions to expand the menu.